This is such a cute gift! 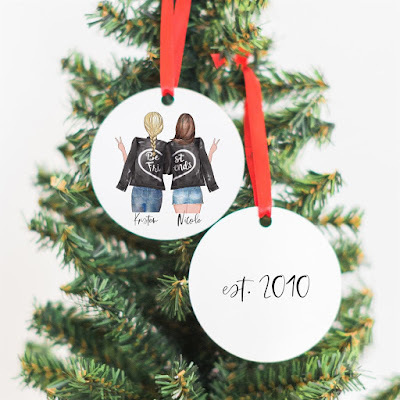 Head over to check out these Personalized Best Friend Ornaments for ONLY $13.99 (Retail $25)! For the best friend who finishes all of your sentences and knows too much about you, gift her this beautiful, customizable keepsake ornament and let her know you're thinking of her. Personalized the portraits and add a special est. date or a personal message for the perfect one-of-a-kind holiday gift!